We are very pleased to announce Paul McPhee has joined hrl: as the new CEO/Managing Director. Paul brings fantastic experience to the company having worked in senior global executive roles for Rio Tinto, BHP, PT Bukit Asam in Jakarta, American Electric Power, ACIRL and ALS as Group General Manager, Energy. 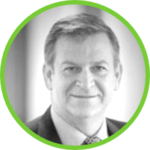 Ken Jefferd, will transition to a non-executive on the hrl: Board with a particular focus on innovative business development, and commence a new position at the University of Melbourne as Executive Director Research, Innovation, and Commercialisation. Jefferd said, "I'm delighted someone of Paul's calibre and track record is joining as our new CEO/MD. hrl: is moving in a positive direction and has a number of exciting opportunities ahead. During the transition, one thing is clear the values of the company will mean the team remains committed to safety and doing a great job for our customers." To contact Paul McPhee, email pmcphee@hrl.com.au.